Thank you for helping purchase a new harness and leash for a needy pug! You can have a plastic, gold or silver nametag with your furbabies name on it, as well as your name, address and phone number! As these have to be made elsewhere, there is an additional $5.00 charge. Note: You can make these tags in the machine at Petsmart for the $5.00. That's where I get them. period. The necklaces are handmade, each with the name of your furbaby, in letter beads. A small charm hangs from each necklace. Come and meet me and the kids at our website, by clicking on our picture! 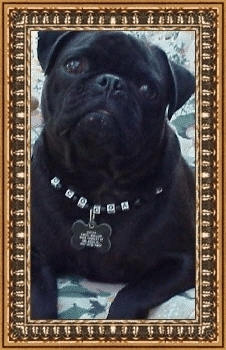 Our goal is to provide as many pugs as we can that are rescued in Florida with his/her very own new harness and leash. I started out making these necklaces for my own kids. Then, I thought it would be a great way to raise money for pug rescue. The money raised would go to supplying each rescued pug with his/her own harness and leash. 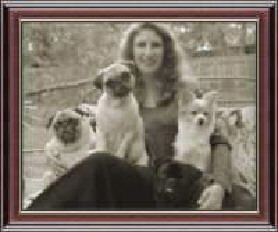 So that each pug rescued, and/or adopted, would have a "new leash on life!" 1. Indicate which necklace you want. 3. Specify charm or name tag. If you want a name tag, specify gold, silver, or black plastic. 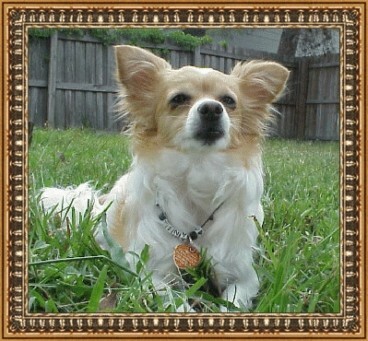 (Your furbaby's name, as well as your name, phone, and return address will be engraved on name tags.) Note: Name tags are an additional cost, and take an additional 2 weeks for delivery. 4. Please include your name, phone number and snail mailing address. As soon as I recieve your email request, I will email you the address to send your check or money order to. The cost of each necklace is $5.00. Please add $3.00 for each different mailing address, as I have to pay for the bubble envelopes and postage. Don't forget to include $5.00 extra if you want me to make the name tag! 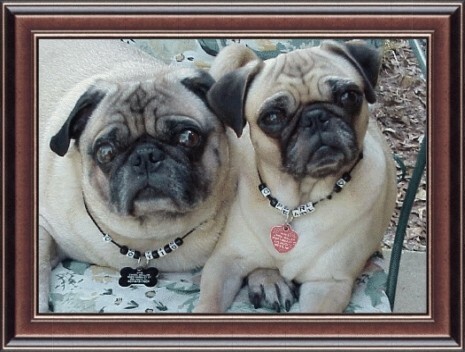 Click on the camera to go to the necklace phot album, and see all the furbabies wearing their new necklaces.